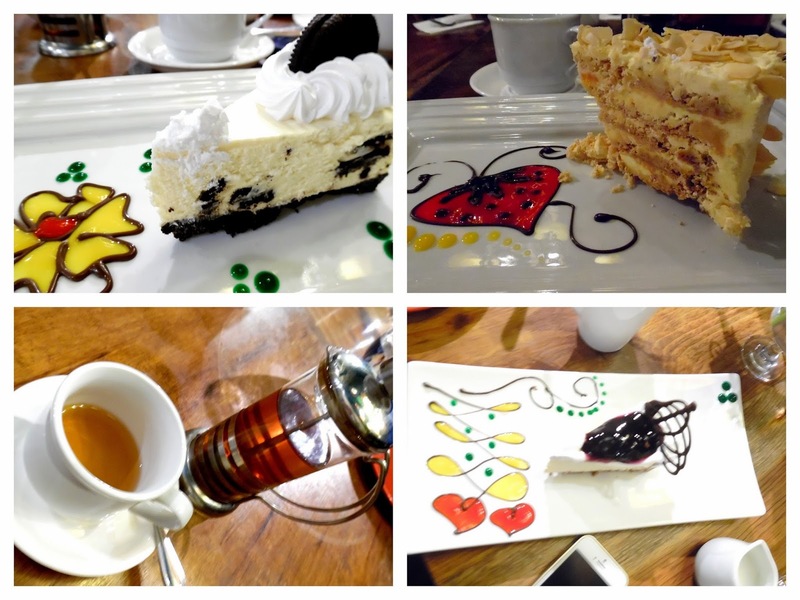 After eating, strolling and shopping... we headed to Forest House to have coffee and desserts. Yes, eating again! Haha! All 7 of us enjoy dining and laughing over random things, that's why we're friends! Forest House is a B&B/restaurant that has a classy ambiance perfect for an intimate family gathering or a romantic setting -- definitely works for dates or even for proposals! Shout out to all couples out there! The restaurant has a countryside look complete with high ceilings, fire place and wooden tables. The restaurant even has a balcony that has a great view of the city. It has hanging lanterns and wreath flowers perfect for a night cap vibe. They have an extensive menu, but since we were still quite full, we just seated ourselves at the balcony and ordered tea, coffee and cakes. Now this is my most favorite place in Baguio by far. Not because it offers alcoholic drinks (hindi naman ako alcoholic! Haha!) 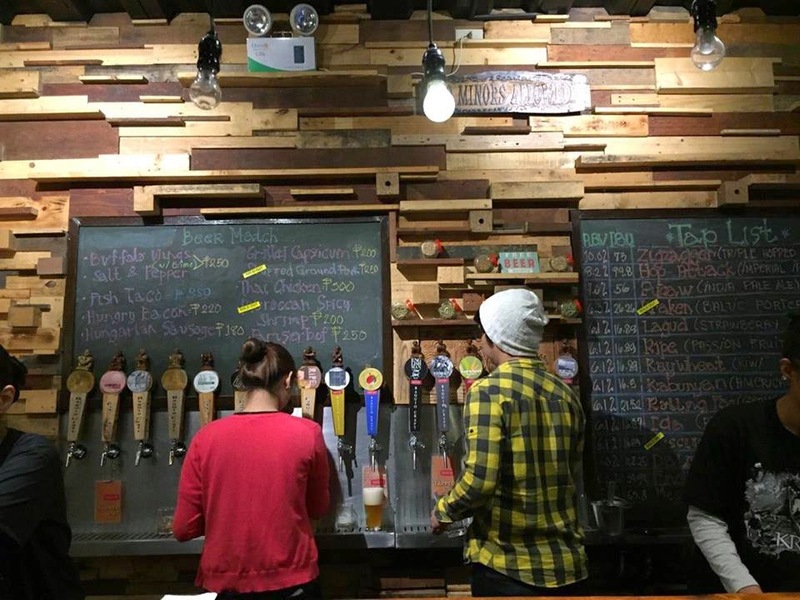 but because it has the chill and casual vibe of a bar and the unique taste of a local brewery. Most of us had Lagud (strawberry beer) because if a place has a right to concoct strawberries into beer, then it'd better be Baguio. 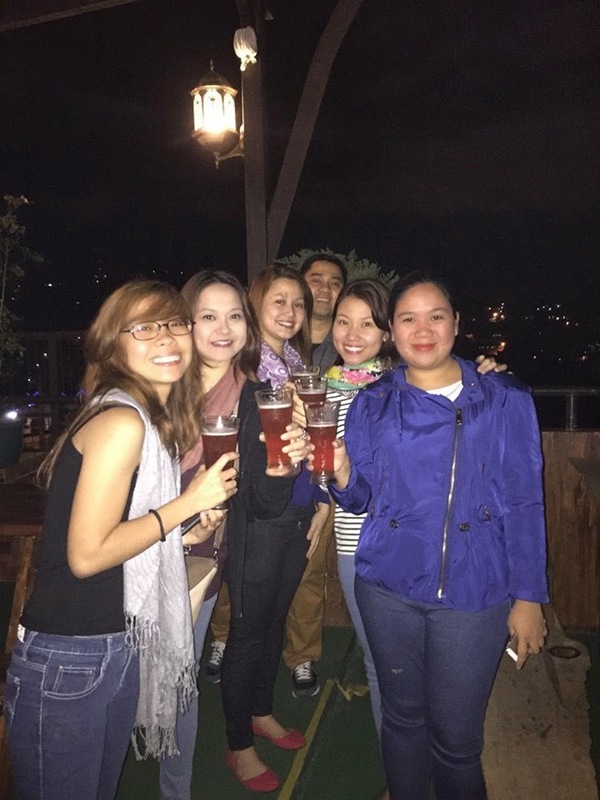 We were supposed to go to this club but then the cab driver said that Baguio Craft Brewery is the hip happening place in the city, so we were quick to reroute and drop by this place instead :) And we're happy we did because we loved the place! Thanks kuya driver! Spot the photo above, there are beer matches (bar chow) and the beer tap list with about 15 kinds of beer to choose from. The place has 2 floors, and offers both indoor and al fresco seating. The seats inside give customers quick access to the bar, then there are benches outside and the 2nd floor is this wide open space for big groups. 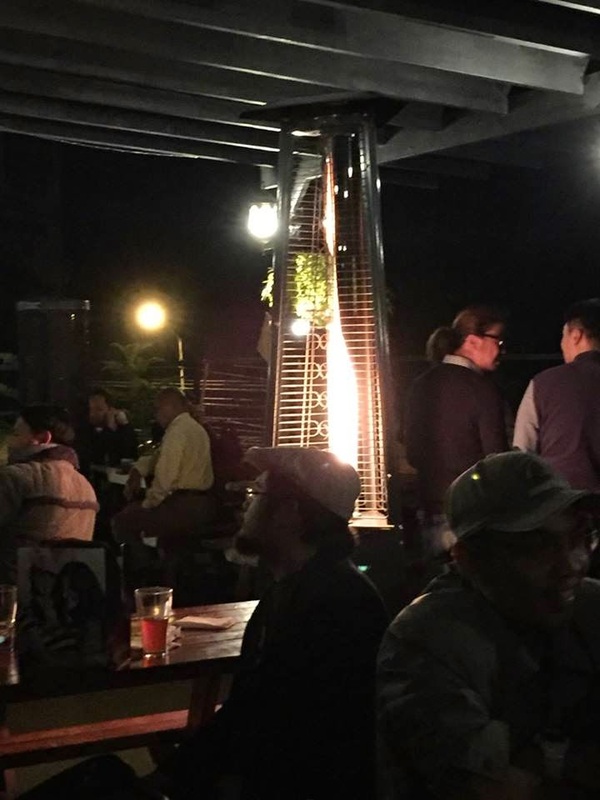 The 2nd floor has 2 makeshift "fireplaces" or warmers that customers can enjoy if the weather gets a little too nippy (left photo). So there's no reason for customers to leave prematurely because of the chilly weather. Brilliant!